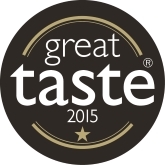 These top quality, boneless salmon fillets are produced with pride from responsibly sourced salmon. 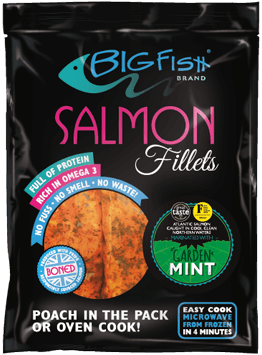 Healthy, full of protein and rich in Omega 3, BigFish Brand Salmon Fillets with Garden mint are gluten free. Our clever packaging means you can cook straight from frozen – poach in the pack, bake, grill or microwave in just 4 minutes! No fuss, no smell, no mess, just delicious salmon every time. 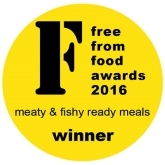 Winner of a FreeFrom Foods Award in 2016 and a Great Taste Award 2015. These fillets can be cooked from frozen or defrosted. To defrost, leave at room temperature for 4-5 hours or overnight in a refrigerator. The fillets are best cooked from frozen but can be defrosted if preferred. To oven bake: Remove all packaging, loosely wrap the fillet in lightly oiled foil and bake in a pre-heated oven at 190°C / 375°F, Gas Mark 5 for 35-40 mins (15-20 minutes if defrosted). Keep frozen. Once defrosted, do not refreeze. 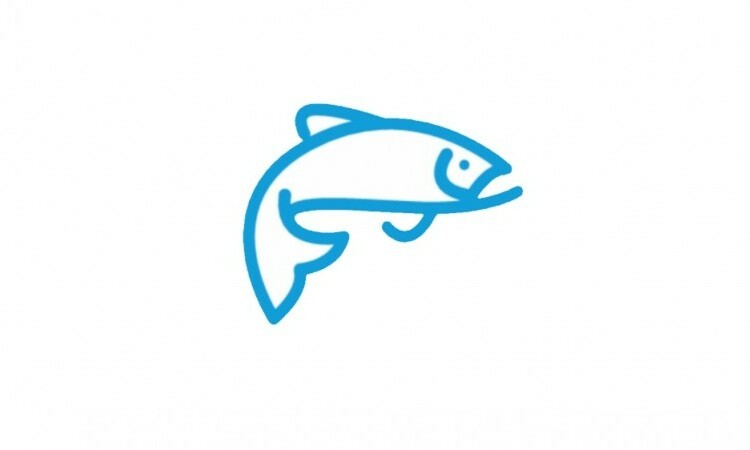 Salmon (Salmo salar) (Fish) 95%. Mint Glaze 5%: Sugar, Acids (Sodium Diacetate, Malic Acid), Dried Glucose Syrup, Starch, Salt, Dried Mint (3.6%), Yeast Extract (Yeast Extract, Salt), Dried Tomato, Colours (Paprika Extract and Natural Rosemary Flavouring, Beta Carotene), Natural Flavouring, Thickeners (Xanthan Gum, Guar Gum, Natural Garden Mint Flavouring). Warning: this product may contain bones.